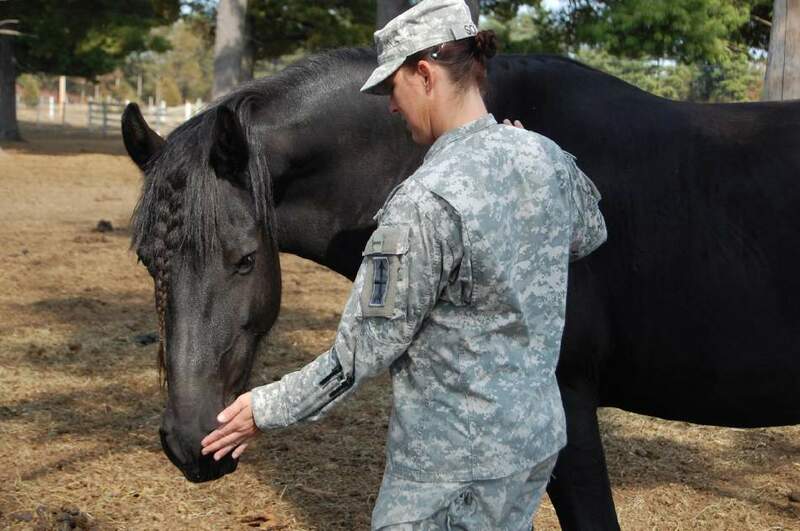 ​The Veterans Wellness Program is a free Equine Assisted Therapy (EAP) program for vets. Understanding the strategies for combat survival, as well as what symptoms might be exhibited in post war veterans upon re-introduction to civilian life, is what makes our EAP program so effective. We've seen great results with veterans struggling with PTSD, depression, addictions, guilt, grief, anger, panic attacks, sleep disorders, and spiritual injuries. - free to qualified military individuals and their families. - effective at helping to manage and heal the effects of military service through re-building self-esteem and emotional balance, re-connecting a spiritual foundation and core relationships, and focusing on the future. - proven to create positive change through a process of restoration, reconnection, and re-defining oneself. 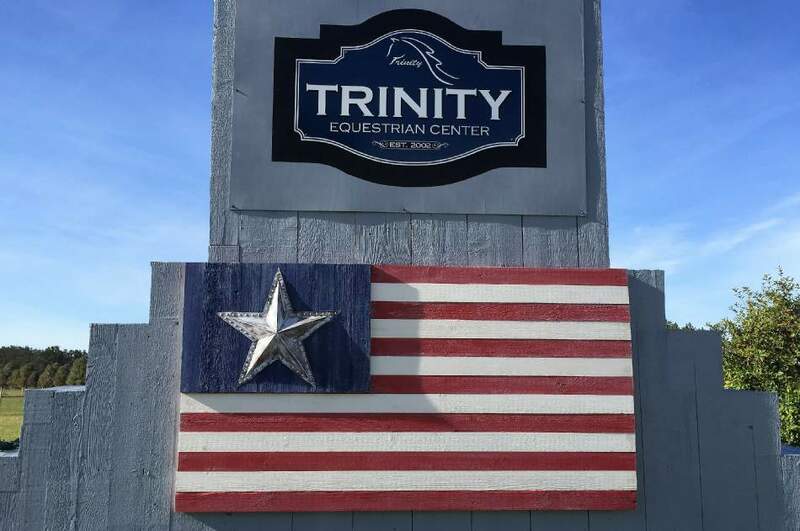 The moment you arrive at the Trinity Equestrian Center, you sense the difference. It is a place of obvious beauty with its miles of white fencing, green pastures, and gorgeous horses. Far more important, however, is what you sense but don't see; Trinity is a place where tiny miracles happen every day — miracles of hope, growth, and healing. 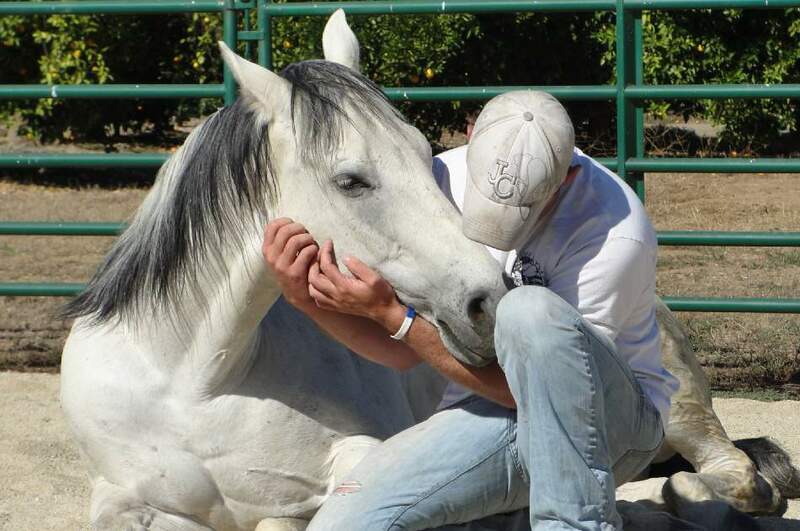 For some, it's our Horse Therapy that is the "life-changer". Horses are amazing therapists and catalysis for change. Add a well trained staff and partnerships with the world-wide organizations of Professional Association of Therapeutic Horsemanship, International (PATH) and Equine Growth and Learning Association (EAGALA), and the possibilities of successful therapy are endless. For Youth and Teens, it is our Mentoring Program that changes the direction of their life, how they see themselves and what they believe about their future. 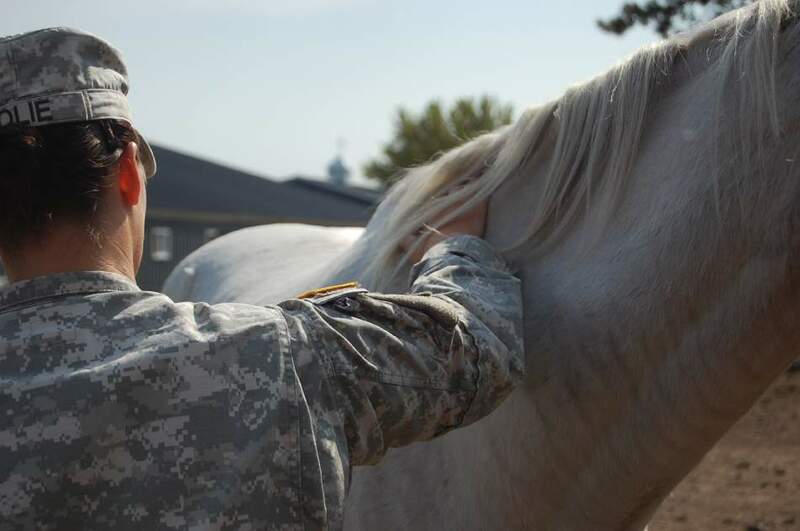 ​For Veterans, it’s our Veteran Wellness Program that provides FREE equine assisted therapy for Vets with PTSD and other service related injuries. For Organizations, it’s our creating great teams and leaders workshops. For Horse Lovers, it’s a little bit of Heaven right here on earth. Our horse therapy program enables you to learn about yourself and others by participating in activities with the horses and then discussing feelings, behaviors, and patterns. Horses offer several advantages. Obviously, their size offers a perfect opportunity to overcome fear and develop confidence and trust. Just like us, horses experience a variety of emotions and are intuitive and social animals with distinct personalities, attitudes, and moods. They have defined roles within their herds comparable to human dynamics. Most importantly, horses mirror exactly what human body language is telling them. If you're impatient, the horse becomes impatient. It is this connection that provides us with metaphors and lessons about ourselves and leads us to change. Horses can teach us self-awareness, healthy boundaries, honest communication, leadership, patience, assertiveness, affection, and more. 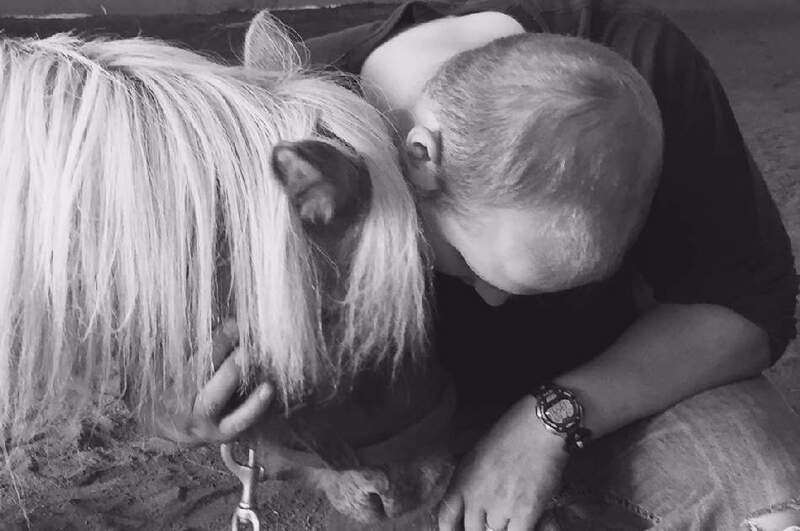 Anyone can participate in our horse therapy program; no prior horse or riding experience is required. It is safe and most activities are unmounted. 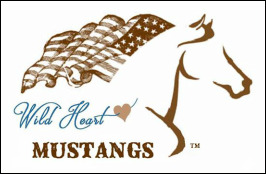 Costs & Schedule Veteran horse therapy is free to qualified military individuals and their families. Appointments can be made Monday through Friday from 8 AM until 5 PM with extended hours available upon request. Please call to schedule your appointment prior to your arrival. Call (715) 835-4530 to learn more. "I am a Marine Corp. Veteran having served three tours of duty managing munitions. After my last deployment I was beginning to show anger in ways I never thought possible. I kept denying anything was wrong, but finally went to the VA where they talked and prescribed meds. I tried anything I could to help manage my anger, anxiety and outbursts...it just wasn't helping. A co-worker hand-ed me a brochure for Trinity's Veteran Program and though skeptical, I was willing to try it. The experience was amazing! It gave me insight into my feelings that I had never had before. I understand myself better helping in ways that talking to a therapists in an office could never do. The horses seem to know more about me than me! Being with Trinity's horses and staff gives me a peace and calm that I have never before experienced. The reason I'm willing to share my story publically is because I truly believe without the help I have received, I would not be married, finishing school or have the close relationship with my family that I do. I respectfully request your support for TEC so other veterans can experience the help and healing that I have." Trinity's horse therapy has changed my life. I knew from the first mo-ment I walked the pasture that things we going to change. Week after week my confidence grew while my demons shrunk. The pro-cess is an uncommon one. It connects to the very foundation of your soul and helps rebuild you from the inside out." "I'm just in awe how Champ and Lilly respond to me. Never before have actually believed that what I was doing would help me. I simply went through the motions. But in 2 sessions at Trinity and working with the horses I feel better than I have in 12 years. For people who don't have PTSD, I think it's hard for them to understand it all. So they say how can a horse really help…all I know is after spending time with Lilly all I can do is smile. It has changed my life!" 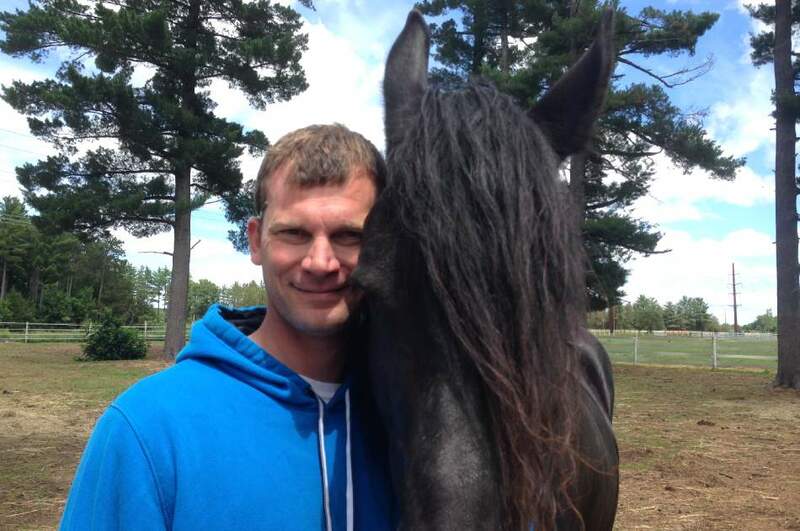 Trinity Equestrian Center, Eau Claire, WI - Understanding the strategies for combat survival, as well as what symptoms might be exhibited in post war veterans upon re-introduction to civilian life, is what makes our EAP program so effective. We've seen great results with veterans struggling with PTSD, depression, addictions, guilt, grief, anger, panic attacks, sleep disorders, and spiritual injuries.